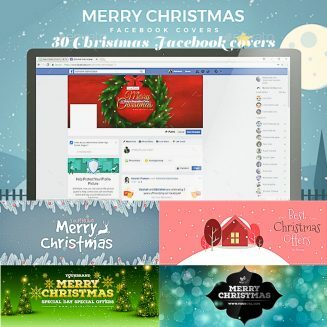 Set of 30 Christmas Facebook Covers. Perfect for your business or private Facebook page. Easy to edit. Tags: Christmas, facebook, facebook cover, facebook template, social media, social template.